THANK YOU, CLIENTS, FOR MAKING OUR SUCCESS POSSIBLE! We want to thank you for your help during one of the most stressful times for us. You were always respectful and caring.Your experience is priceless and your goals realistic. You were always on time, very responsive to our many questions and concerns and your attitude was always positive. Here is a quote from Dennis. "Working with Wanda has given me a whole new appreciation for what a true professional real estate person does." Thank you for listening and paying attention to what we had to contribute during the process. You will not regret hiring the Lehmans. 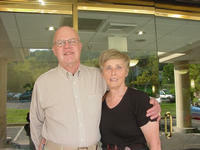 Wanda and Jerry provided us peace-of-mind making a complicated life event easy. They were always looking out for our best interests and handled all the "dirty work". Their 30+ years in the business provided us access to a network of experts who were able to assist us in both selling the home we raised our family in, and finding a home we could make our own. We did not expect to sell our home so quickly. 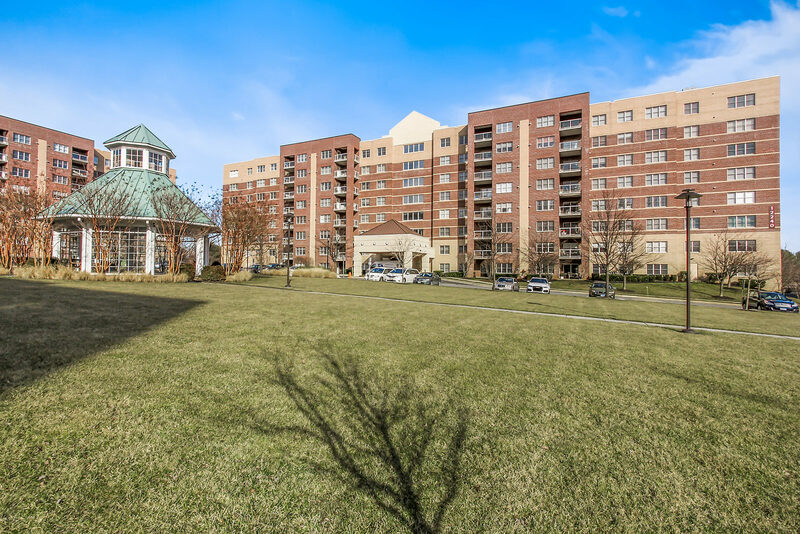 Wanda was able to negotiate a sale and leaseback arrangement with the buyers to afford us more time to make improvements to our new home. If you are looking for an agent who is dedicated and has the highest degree of integrity, you will not be disappointed. We highly recommend and can attest to Wanda and Jerry's professionalism and incredibly high standards of service. Thank you for all the time you spent on helping us sell our family home. From the day you came to walk us through all the problems with the house that you, as an objective professional realtor, could see, you have worked tirelessly toward the day of settlement. Many kind suggestions were made to push us toward the goal. Hours of diplomatic conversations with other players along the way were truly appreciated by us as the real estate field is a language of it's own. You have certainly earned every penny of your commission and we all feel happy to have had you in our corner! My siblings and I couldn't have been happier with the service provided by Wanda in selling our mother's house. This was a home she had lived in for 53 years and it was a very difficult time for all of us. We ran into several road bumps along the way and Wanda was always there to calmly help us past them: always reassuring us that we would get through it. And we did! 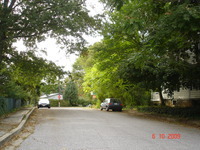 Wanda was the REALTOR® for the sale of my mother’s house in Phoenix, Maryland. 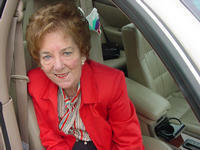 Throughout the whole process Wanda provided exceptional service and advice. Her experience in the region helped us accurately price the house for a quick sale, and her friendly attitude served as a calming influence on my mom during what could have been a stressful process. I was impressed how Wanda went above and beyond what most Realtors would do, such as lining up contractors to make last-minute repairs and then inspecting the work herself, and taking the extra time to patiently walk my mom through the entire process. I would highly recommend Wanda if you’re looking for an honest, thorough REALTOR® in the Baltimore region. Wanda was very attentive to my needs and wishes. She kept in constant contact with me and kept me apprised of what was happening in the market and discussed any concerns with me. I highly recommend Wanda to anyone selling or buying a property. Wanda is a true real estate professional. Always on top of all the details.She really cares about her clients and looks out for their best interests. I would recommend Wanda to anyone looking for a top-notch Realtor! Wanda and Jerry, Thank you for getting my house sold. I know it wasn't easy. I appreciate everything you did and taking care of all the problems that came up. 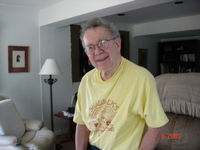 I will always remember your knowledge and wonderful personality. I am so glad that I had the opportunity to meet you. Wanda is wonderful to work with. Got my condo sold very fast. Easy to work with and very friendly. We have worked with Wanda multiple times and every time has been a pleasure. She's very good at communication in a timely manner and shows a lot of compassion for what she does. Very knowledgeable and very nice. Wonderful to do business with and will do business again in the future! Wanda and Jerry do their job fantastically well! In addition, they tackle every obstacle to make everyone happy when buying or selling a home! In some cases they do their jobs and the jobs of others to get it all done! 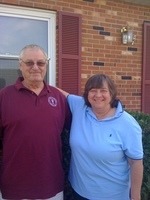 Wanda and Jerry handled the total transaction from listing to settlement in a total professional manner throughout the entire process. They rose to the occasion when any matter needed attention. Not only were they excellent agents, but also have wonderful personalities. Is truly a pleasure to spend time with such people. Highly recommend their services with any real estate needs. Wanda and Jerry provided outstanding customer professional services from the start date of the listing to the closing date at settlement! They presented timely, efficient communications on the status of showings as well as current listings and sales. Wanda and Jerry will definitely "go the extra mile" to make things run smoothly and make both seller and buyer have a high level of confidence that "i's" have been dotted and "t's" crossed. The really great part, too, is that Wanda and Jerry are wonderful people as well as professionals! Wanda was a tremendous help in helping me purchase my first home. from locating the house to answering any and all questions I had about the process including assistance during the walk-through. I couldn't imagine anyone else helping me purchase my house and would recommend Wanda to anyone! In a bad economy, Wanda and Jerry were able to market and sell our home in 3 months. When problems arose just before closing, they were able to come up with resolutions that allowed closing to happen with all parties working together to close the deal. They are top-notch, amazing, miracle worker agents and wonderful human beings to boot. I recommend them already to friends and family! Both Wanda and Jerry are true professionals. They are dedicated to making the purchase work. They return all phone calls promptly and have a deep knowledge of the market. It was a pleasure to work with them. Wanda Lehman, from the beginning, showed me the expertise she needed to be an excellent professional in selling my home. She always knew what to do and when to do it. I highly recommend her! Wanda and Jerry are great! Their passion for helping you find your dream home and within your budget is first class. My parents bought their first home from the Lehman's and I was fortunate they were still around to help me with my first house. If you want to meet great people and have a fantastic home buying experience, I would recommend Wanda & Jerry without hesitation! After deciding to sell our house of forty-two years, a friend recommended we call Wanda and Jerry Lehman for advice. They were very personable and professional, always concerned about us. We listed the house with them and had eleven clients the first five days after the sign went up, a final contract on the sixth day. 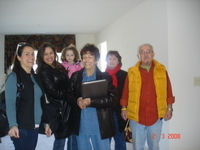 We quickly became not only clients of the Lehman's, but friends. We highly recommend that you call them if you are eager to sell your house. They will take care of every detail in a very expeditious and personal way. Thank you for taking such personal care in selling our house! You guys went above and beyond - seriously!! 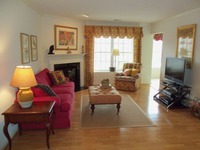 The Lehman Team did a wonderful job with the sale of my home. They were quick, thorough and on the ball. They keep everyone on their toes and well-informed. We are always satisfied with results when working with Wanda and Jerry Lehman. We find their attention to detail and their client loyalty to be, extraordinary. It was a pleasure working with Wanda and Jerry. They are extremely positive, professional, pleasant and personable. 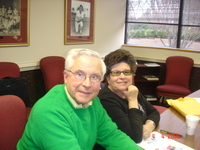 Jerry and Wanda exceeded our expectations as REALTORS¨ and as real good people. 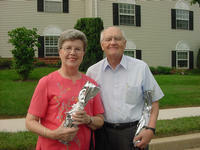 Wanda and Jerry gave it their all in the showing and selling of our condo. They made it possible for us to make the move to our new condo where we have an elevator which we desperately needed. We highly recommend their services! 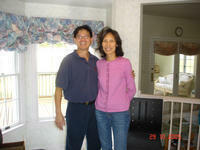 Wanda and Jerry helped us sell our condominium in this very tough market. We highly recommend Wanda and Jerry. Wanda and Jerry were great agents!Everything they did for me was above and beyond the call of duty. When Wanda and Jerry told my husband and me "we'll get it sold" they meant every word. The Lehmans sold our house for us in less than five (5) weeks. They took care of everything. We could not have asked for better service from Wanda and Jerry. They were on top of everything from the minute we met with them to discuss the sale of our home until the time of settlement. Even during settlement they were looking after our interests and saved us a few dollars in out of the ordinary costs which we should not have been charged. I have referred some of my co-workers to them with no hesitation. Wanda and Jerry are the best. We would use them again and will continue to refer our friends to them. You did a wonderful job for us. Our closing would not have gone as well as it did but for your staying on top of everything. 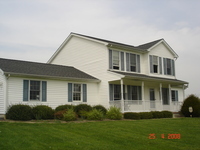 Thanks to Wanda and Jerry Lehman, we were able to sell our home in a very difficult economic environment. Because of their efforts, the process was stress free for us. We highly recommend Wanda and Jerry. Excellent Service. Wanda and Jerry were fantastic: professional and knowledgeable.We were extremely pleased with all aspects of our interaction. They were very professional and practical with their guidance; Could not have done any more for us!! They worked as a team and were honest in their work. We will recommend them to anyone. 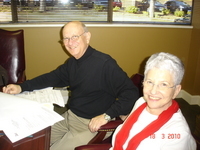 Wanda and Jerry Lehman stuck with us throughout the lengthy process of finding our dream home. They always seemed to be a step ahead of us in scheduling appointments and inspections, and in completing paperwork; very organized and detail-oriented. We highly recommend Wanda and Jerry Lehman to anyone searching for their dream home! Professional, Available, Tenacious. A good choice in a particularly tough market. Gladly recommend. 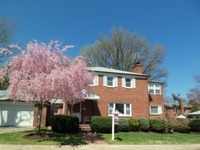 Belinda and I referred our clients to Wanda and Jerry for the sale of a property in Maryland. We were so pleased with the communication level and professional manner in the way they conducted their business. 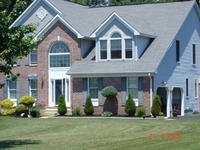 The home sold fast and our clients were extremely pleased. We will definitely refer clients to Wanda and Jerry in the future. In today's market, to sell a home in the first weekend is unheard of. We credit Wanda and Jerry Lehman with a wonderful preview,professional service from start to settlement, and knowing precisely where to price our home. If you want to get the job done quickly, call the couple who are still passionate about what they do. 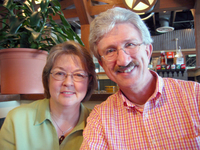 From our first meeting, Wanda and Jerry have supported and served us with the highest degree of professionalism and compassion.Their suggestions were useful and practical. We were nervous about putting our house on the market in the current state of the economy. Wanda and Jerry left no stone unturned. Their in-depth research on the neighborhood helped us set a price. The color brochure was breathtaking. Wanda and Jerry are people of their word, and follow through with incredible timeliness. They always made themselves available, and we never had a hard time reaching them. Wanda and Jerry are passionate about what they do, and their warmth and enthusiasm is contagious. 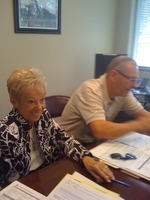 Not only were Wanda and Jerry the most efficient real estate team, they were understanding and kind. I would not hesitate to do business with them again, and would recommend to friends and family. Thank you both for being in our corner every step of the way! Working with Wanda and Jerry Lehman on the sale of our home was like working with friends. The personal attention given to every detail of the sale was refreshing and fabulous. They truly go above and beyond the call of duty. I would highly recommend this wonderful couple to anyone buying or selling a home. Wanda and Jerry have sold two properties for us. They are very professional, extremely knowledgeable and most importantly: kind and generous with their time. All our concerns and questions were addressed and resolved. Wanda and Jerry take the stress out of selling a property. Their advice was impeccable and their energy level was boundless. In the process of selling our home, we also gained good friends. If we ever have another property to sell, Jerry and Wanda will be our first and ONLY choice as Realtors. Thanks for all your help. You did a great job for us and we highly recommend you as a top, professional Realtor. Our 25 year old daughter buying her first house. Wanda and Jerry - surrogate parents. My wife, Wendy, and I would like to take a moment and thank you. Buying (and selling) a home is an extremely emotional and, often, stressful event. The decision to purchase our new home was easy, and you both handled the process professionally. It was a pleasure to see how quickly and responsive you were to our concerns. Thank you for a smooth transaction, and a wonderful new home. 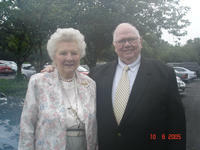 Wanda and Jerry Lehman provided for both my wife, Roxie, and myself, an infectious enthusiasm for life. And as Realtors, they are experienced and wise beyond their years (said with tongue in cheek ;-) ). I'm glad we found our way to the Lehmans! Our heartfelt gratitude to you in helping to sell our home. We have come to appreciate and understand better how the realty business works. You have the technology skill and seasoned knowledge relevant to it. a. Information: You took the house synopsis and translated into informative details and pictorial description. Your virtual tour is completely superior to others. You are well aged with technology. Your website is one of the best. Visuals sell. b. Marketing Plan: Your plan was aggressive yet practical. We saw your weekly advertisements on local and statewide papers. We received your personal advertisements for friends and friends of friends. You opened house for agents and realtors and let them have the longing to ÒgetÓ this house for their clients. Quynh liked this a lot. c. Leadership/Communication/Good Advice: You communicated to us the competitions, changes to be made. You helped us re-adjusted to each situation, pricing, and home insurance plan. Thus we were and stayed ahead of competitions. That gave us the comfort that you did not abandon us after few initial contacts and advertisement. I liked the way you said to us all the timesÉ ÒStay with meÉ WeÕll get this soldÉÓ To us, that is confidence. Please accept our heartfelt gratitude. It was my pleasure to work with you both in the selling of my home. 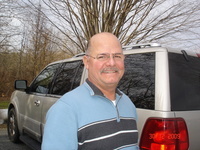 You were very friendly, thorough and professional throughout the entire process. You communicated all necessary details in a timely manner, answered all questions and ironed out any wrinkles quickly and efficiently. I appreciated that you were sensitive to how much the house meant to me and I feel you did an excellent job of presenting it to potential buyers. We want to let you know how very pleased we are that we selected you to handle the sale of our house. As you know, when we began interviewing realtors we were skeptical about hiring a realtor at all, based on previous transactions that did not go smoothly. You not only delivered on everything you promised, you far exceeded our expectations for a smooth, worry-free transaction. Your assessment and valuation of our house was extremely thorough, and your marketing materials were outstanding, both the photographs and the written narrative Ð you nearly had us convinced not to sell our house, it sounded so good! Once the house was under contract, your organization, attention to detail, negotiation skills and quick action ensured that all the necessary steps were completed in plenty of time for closing, and you were excellent at keeping us apprised of the status of the settlement at every step. You told us that your goal was to make every client feel like they were your only client, and we did, throughout the entire process. Your friendly and professional manner made it a pleasure to work with you, and we couldnÕt be happier with both the process and outcome of hiring you to sell our house. Thank you! You have our permission to use all or part of this letter as a reference for future clients. Thank you for all your help. The process of buying and selling real estate today is very complex. You made it easy. We will definitely recommend you. It was a pleasure working with you. 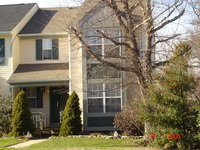 You both made the entire first time home buying experience not only easy, but enjoyable as well. I appreciate the suggestions on the flooring, I think I will take your advice and do the kitchen in tile, not wood. I want you both to come over and take a look after all the changes are made. I will pass on your info to anyone that I know that is considering buying or selling a home. I hope that we keep in touch, wish you much success in the future, and look forward to selling my unit with you as soon as I am ready for an upgrade! Thanks again! Thanks for your great guidance through the sale of our house. We especially appreciate your keeping us up-to-date every step of the way and the professional manner in which you represented us. Thanks for all your help in making our "dream home" a reality. You are truly professionals. Thank you so much for all your help with our real estate transactions. Thanks to you it all went smoothly and we are getting settled in to our new home. Again, many thanks! Thank you for the professional, caring service. Our first purchase was less scary with you at our side. Words are inadequate and all to few . . .